The Alabama Post-Conviction Relief Project, Inc. (APCRP) began in 2004. It is the only organization of its kind operating in Alabama. It supports volunteer counsel representing inmates on Alabama’s death row in their state post-conviction proceedings. Due to federal procedural requirements, habeas litigation in federal court cannot be successful if Death Row clients have not been adequately represented in their state court post-conviction proceedings. 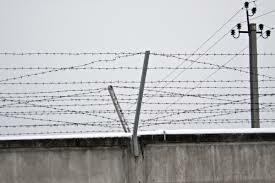 Although state prisoners may receive appointed counsel when they challenge their cases in federal court, prisoners are barred from raising in federal court any issue not sufficiently raised beforehand in state court. Just as important, any state court decision on a state procedural rule is held to be binding on any federal court reviewing the state death penalty conviction. Lack of trained lawyers or adequate funding for state post-conviction litigation prevents success in federal court. Alabama’s capital punishment system is highly politicized. Alabama is the only jurisdiction in which the judges, who are elected, routinely override jury verdicts of life to impose capital punishment. Twenty per cent of Alabama’s Death Row prisoners received their death sentences from the judge, despite their juries’ recommendations of life. According to a survey by the Equal Justice Initiative, 75 per cent of these override death sentences were imposed where the victim was white, even though less than 35 per cent of Alabama’s homicide victims are white. And overrides increase in election years. Most critically, Alabama lacks experienced qualified capital counsel, at all stages of the process. To be appointed to a capital case, Alabama law requires only that a lawyer be licensed to practice and have five years of experience in any type of criminal case. Alabama provides no additional training in handling capital cases and has historically capped fees for appointed counsel at extremely low rates. Post-conviction counsel’s fees are capped by statute at $1,500. In Robin Myers’ case, his lawyer abandoned him during the appeal from his state post-conviction hearing, without filing a formal withdrawal or notifying Mr. Myers, even though Mr. Myers is intellectually disabled. Over a year after his deadlines ran, Mr. Myers received a notice from the State that it would be pursuing an execution date–but Mr. Myers could not even read the letter that was sent to him. Due to the state lawyer’s abandonment, Mr. Myers had failed to complete the appeals process in state post-conviction. The federal courts held he was barred from proceeding with his claims in federal court. The Project’s mission is to address these inequities by recruiting, training, and providing resources for volunteer counsel to represent Death Row prisoners in state post-conviction. The Project coordinates investigation and Project funds pay for the costs of state court litigation, including experts’ and witnesses’ costs. If unsuccessful in state court, these Death Row clients will at least have had their constitutional issues properly litigated and preserved in state court. The Project has been approved by the IRS as a §501(c)(3) nonprofit corporation. The Project has a Board of Directors, which includes experienced civil and criminal defense attorneys committed to the right to a fair trial for all, even the poorest clients or the clients accused of the most heinous offenses. The immediate past president of the Project board was the Hon. John Carroll, former Dean of Cumberland Law School. The current Project board president is Michel Nicrosi. Other board members are: Joel Sogol, Danielle Mason, Thomas M. Goggans, Richard Stephen Jaffe, and Elmer Jacob Watson. We also have several volunteer lawyers that represent APCRP clients, and other volunteer lawyers that offer support and advice to those representing clients. Four Project clients have won appellate reversals of state trial court denials of post-conviction relief, sending them back to lower state courts for additional litigation. Four Project clients are now in state appellate courts. One Project client, Christopher Revis, recently won the right to a new trial. In eleven out of the last twelve years, we have received a grant from the Southern Poverty Law Center, ranging from $20,000 to $25,000. We receive advice and support from other groups including the Equal Justice Initiative, Project Hope to Abolish the Death Penalty in Alabama, the law firm of Beasley, Allen, Crow, Methvin, Portis & Miles, P.C. And we have conducted fund-raisers, mail campaigns, and cultivated a small group of periodic individual donors. Of course, costs for hearings remain difficult for this all-volunteer organization. Our cost per state evidentiary hearing averages $15,000, but has been as high as $25,000. That includes payment of experts’ fees, lay witnesses’ expenses, travel expenses, investigation, postage and phone charges, reproduction costs for exhibits and pleadings, and a host of other litigation expenses. We have averaged around two hearings per year. However, this past year, we had three hearings and prepared for a fourth that was rescheduled at the last minute. This coming year and into the next, we expect additional hearings, and must find additional supporters to assist in this endeavor.